Prevent buffering of video streams - PC Buyer Beware! 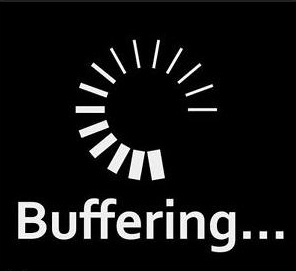 Measures to prevent buffering of video streaming depend on rectifying the shortage of digital bandwidth that causes it. In other words, buffering – downloading and storing enough video to make playing it possible during viewing – takes place while online video is playing because of a lack of bandwidth. To get rid of buffering requires restoring or obtaining enough of the available digital pipeline in a particular area. If that is not possible – the digital pipeline is too narrow – buffering always occurs. Note that most video-steaming websites, such as Netflix, attempt to make the best use of the available ADSL bandwidth automatically by lowering the quality. They usually also provide manual settings that allow the user to set the quality of the video. It is slow telephone landline ADSL broadband connections that suffer from buffering. Even slow cable connections, especially fibre (fibre-optic) cable connections, are very much faster than the fastest ADSL connections. In the UK, ADSL speeds go up to 17mbps (17 megabits per second). My ADSL provider provides fibre connections in other areas, not in mine, unfortunately. It delivers two fibre products, offering download speeds of up to 38mbps and 76mbps, which won’t suffer from video buffering. Therefore, the following steps to take to prevent buffering apply to ADSL telephone connections. 1. – Measure your Internet download and upload speeds with a site such as speedtest.net. Note that speeds vary depending on the time. Peek periods tend to have slower speeds than off-peek periods. This is because the greater the demand being placed on the telephone network in an area, the slower it operates for individual users. The download speed is always significantly faster than the upload speed. The download speed is what is mostly used to display websites and video. The upload speed is important to make contact with websites or to upload data to them if you own or administer them. To prevent buffering, you need a download speed of at least 5mbps constantly. ADSL telephone-line broadband connections can have speeds below 5mbps, especially in rural areas. 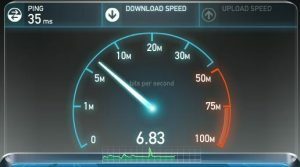 If the maximum speed available to you is below 5mbps, the only way to prevent buffering, is to use a cable connection, if available. 2. – If you are connected to an ADSL broadband modem router by Wi-Fi, the connection might be suffering from interference and other issues related to slow Wi-Fi connections, such as too many users in a neighbourhood using a channel, distance from the router, the thickness of the walls that the signal has to penetrate, interference from other wireless devices, etc. The use of network range extenders and repeaters can maintain strength of signal. Note that no amount of tweaking will prevent buffering if there are people in your home placing heavy demands on your network connection to the web. Some modem routers can switch between the 2.5GHz and 5GHz wireless bands. Bear in mind that the 2.5GHz wireless band has only three real channels (1, 6, 11) despite pretending to have eleven (the others overlap with each other). You can log into your router’s configuration setup page to change the channel. Your Internet Service Provider should provide information on how to enter the router’s IP address in a web browser and provide the User Name and password in order to open the router’s configuration setup. The image below shows one of the pages of an ADSL modem router’s configuration setup. The “Channel Selection” option is set to Automatic and is using Channel 6. You can change the channel to Channel 1 or 11 to find out if your download speed increases. Page of an ADSL modem router’s configuration setup that displays in a web browser. Click on the image to view its full size. ADSL modem routers allow multiple Wi-Fi connections and provide at least four yellow Ethernet network ports. A cabled Ethernet network connection between the router and the computer that video is streaming to won’t suffer from those Wi-Fi problems. Therefore, using an Ethernet connection can increase the download and upload speeds at a particular time. Most streaming devices (PlayStation, Xbox, Amazon Fire TV box, Apple TV) and many TVs provide an Ethernet port. However, note that the smaller streaming dongles (Google Chromecast, Fire TV stick) do not have an Ethernet port. Using a Powerline network that uses special adapters and the mains cabling in a house to connect to the modem router could be a way of maintaining signal strength and consequently download speeds. The image below shows a Powerline network setup. A Powerline mains network setup, connecting to a modem router. Click the image to view its full size. 3. – Most recent ADSL modem routers provide a Quality of Service (QoS) feature that allows the user to prioritise the different kinds of Internet activity. If you set it to put video streaming first, when you are streaming video the other types of access, such as online gaming, Skype (VoIP), website browsing slows down. The QoS settings vary in capability from router to router. Improve them by using alternative third-party firmware, such as DD-WRT, instead of the firmware installed by your ISP in the router. November 18, 2016 in Networking and Internet Problems, News, PC Problems and Solutions.